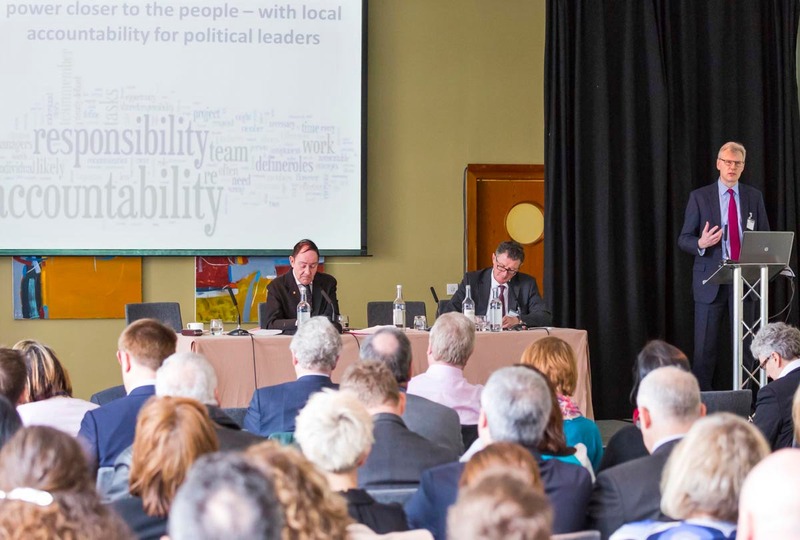 Conference photography in Manchester has been a core part of my business for a number of years. There’s pretty much a conference for everything theses days ! I’ve covered medical conferences through to housing, property and everything in between. The number of conferences and corporate events happening in the city seams to increase year on year.There are some great business opportunities out there for photographers. I don’t think being a conference photographer is a particularly hard job but there are a few things to be aware of when covering these events. Here are some photography tips and advice on how to successfully photograph a conference or similar corporate event. Firstly, make sure that you have some kind of a brief from your client and ascertain things like whether you can use flash , will there be specific presentations or P.R. events within the conference that need photographing? Ask these questions as there is nothing worse than being at one end of an auditorium only to discover that you are missing the action of a presentation at the other! To flash or not to flash! Camera flash can be a distraction for both the audience and speaker at the lectern so should best be avoided. Although sometimes it is a necessity if the ambient light levels are particularly low. The only time I tend to use flash is when the delegates have left the auditorium, taking pictures of small groups chatting and networking. I would usually shoot these images using flash. The settings would be ISO 800 f8 @ 60th and my Canon flash gun on ETTL with a white box diffuser and the flash set to +1. Lens selection – I shoot on Canon, although any good quality camera will do the job. The main lenses I use are the 24-105 IS and 80-200 IS. I generally don’t use a tripod or mono-pod as both lenses have image stabilization. You can get away with hand held shutter speeds down to a 30th of a second with Canon IS lenses. ISO is usually set at anything between 800-3200 depending on the amount of available light. As always, choosing the right ISO is a compromise between image grain and light sensitivity. A typical shot of a speaker at the lectern would be shot at f4 at 30th / 60th @ 1600 ISO. 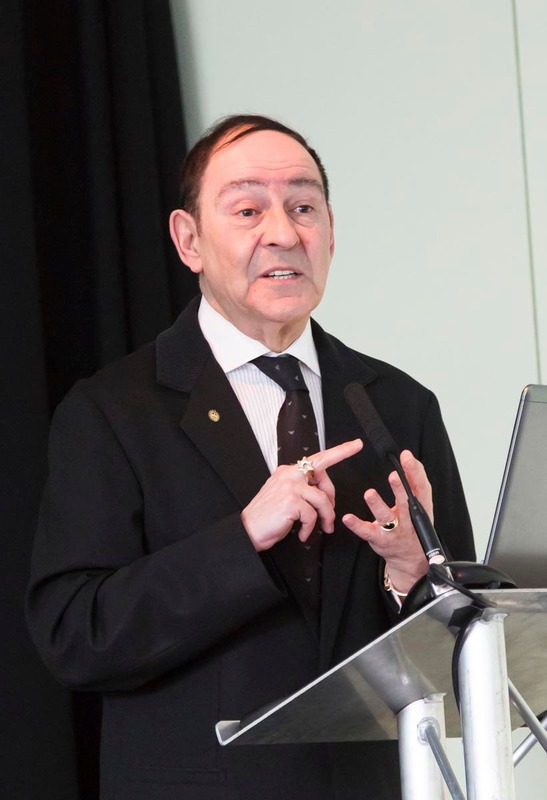 Sir Howard Bernstein at Hempsons Manchester Devolution conference. When approaching a photography commission, conference photography is no different to any other shoot. You are trying to tell a story, to show the events of the day. I try to show a variety of ‘scales’, from a ‘big’ shot showing all the auditorium to close-up details such as photographs of company branding and anything that has been produced specifically for the conference, as well as groups of people in any break out areas. There are quite often shots of the sponsors and their branding to be taken,the food and layout of the venue. 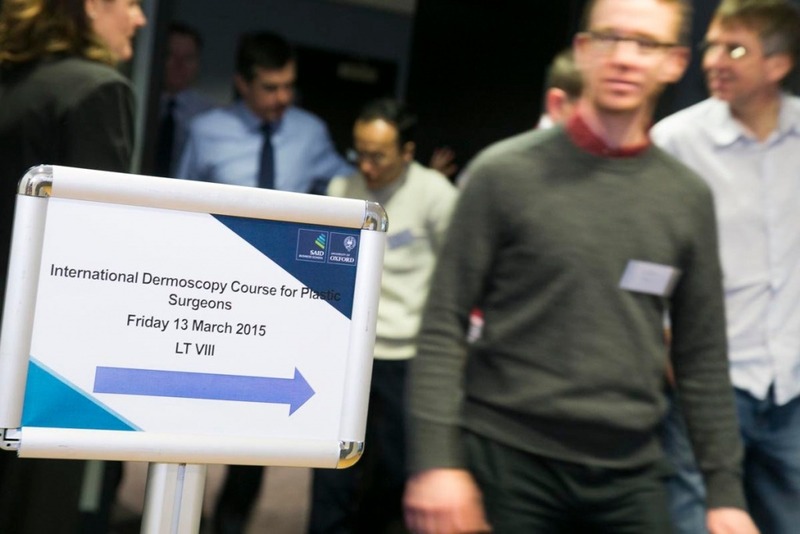 Then of course, there will be the ‘money shots’ of speakers at the lectern and delegates mingling and networking. As well as hopefully fulfilling my clients brief, I also like to take shots of people mingling/networking and generally enjoying themselves. You can view more examples of my events and conference photography here – Conference Gallery.